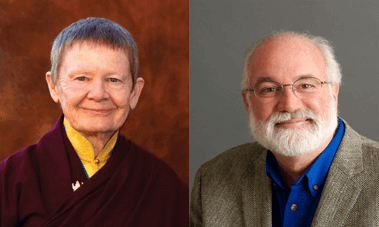 Join Pema Chödrön and Greg Boyle for an evening of teachings exploring the power of kinship and how we can awaken courage and compassion amidst our greatest challenges. 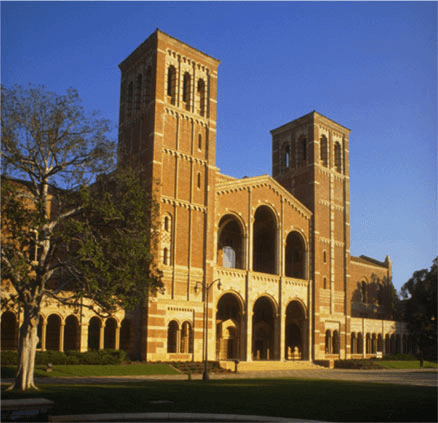 Proceeds from the event will support the mission of Homeboy Industries in Los Angeles, the largest gang intervention, rehabilitation, and re-entry program in the world. 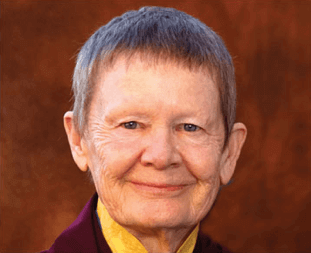 Pema Chödrön is a world-renowned Tibetan Buddhist teacher and author who has inspired millions through her example and message of wisdom and compassion, even in the face of difficulty. 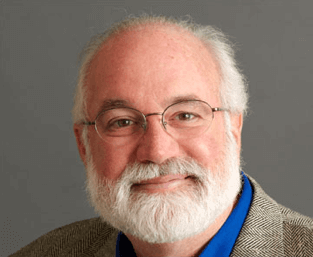 Greg Boyle is the founder of Homeboy Industries, which is marking its 30th anniversary of witnessing to the fundamental human truth that there is no us and them, only us. Pema and Greg will share teachings on cultivating positive connections with others and personal strength through vulnerability—and consciously creating the lives and world we want to share. Each year, thousands from across Los Angeles County and beyond walk through the doors of Homeboy Industries seeking a better life. They are welcomed into a community of kinship that offers a wide variety of services, ranging from tattoo removal to mental health services and parenting classes. A comprehensive 18-month training program offers men and women job training in a variety of social enterprises and the opportunity to heal from violence-induced trauma and re-identify who they are in the world. 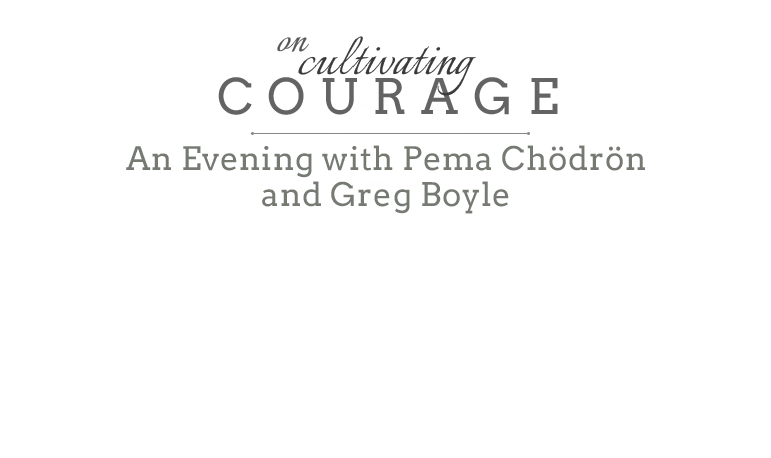 *VIP tickets include a ticket to a pre-event VIP reception with Pema Chödrön and Gregory Boyle. If you purchased a VIP ticket, the VIP Reception will be held 5:45pm–6:45pm (prior to the event) in the Donor Lounge. VIP Will Call will open at 5:30pm.